Cinnamon has received plenty of press for its astounding health benefits, and rightly so. But did you know that cardamon is considered the "Queen of Spices" with its own list of exceptional wellness perks? Native to India and Sri Lanka, cardamom belongs to the ginger family and contains a cornucopia of beneficial volatile oils, vitamins and minerals. Ayurvedic medicine has recognized the merits of the spice for over 5,000 years, prescribing it for everything from digestive disorders to infectious illness to depression. And now, modern science has found that cardamom is a potent defense against cancer. Adding this sweet and peppery spice to your diet is not only tasty but also very healing. Cardamom also shows promise as a powerful anti-cancer spice. 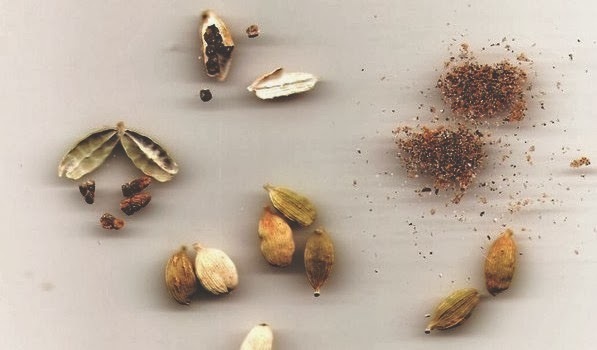 Research published in the Journal of Medicinal Food discovered that an extract of black pepper and cardamom significantly enhanced the immune system, along with the activation of natural killer cells. The extract also regulated inflammatory response - another powerful therapeutic tool in the fight against cancer. Likewise, a similar study in the Asian Pacific Journal of Cancer Prevention found a combination of cinnamon and cardamom displayed potent cancer destroying properties. Through anti-inflammatory, anti-proliferative and pro-cytotoxic activity, the mixture induced colon cancer cell death. Beverages - Take a cue from Middle Eastern cultures and brew coffee and black tea with ground cardamom. As an alkalizing spice, cardamom helps to reduce acid and neutralize caffeine. Cardamom can also be added to your favorite smoothie, lending an earthy vanilla flavor. Food - Cardamom has a natural affinity with many edibles - especially stews, curries, puddings, chocolate and baked goods. Since the spice loses its flavor quickly, always purchase cardamom pods and crush the seeds when needed. Try a pinch of ground cardamom in your hot breakfast cereal for a delicious change of pace. Dental care - Cardamom is one of nature's best sources of the phytochemical cineole - a formidable antiseptic. If suffering from gum disease or bad breath, add a drop of cardamom essential oil to your toothbrush and apply twice per day. Alternatively, a gargle made with a few drops of the oil in a glass of water can be used. Colds, flu and respiratory ailments - To relieve illness, a hot tea of crushed cardamom seeds will help speed the healing process. Using a mortar and pestle or coffee grinder, crush 10-15 seeds and combine with three cups of purified water. Simmer uncovered over low heat for 30 minutes, strain and consume several times per day. Massage - Use cardamom oil for a quick self-massage to alleviate stress, depression and muscle soreness. Add a few drops of cardamom essential oil to either almond, jojoba or apricot kernel oil. Rub onto feet, lower back, neck and shoulders along with the arms and legs. Pay special attention to inflamed joints. For a simple pick-me-up at the office, apply a few drops of the oil onto both temples.